It may be one of history’s “cruel ironies,” suggested Jeff Gould, professor of history at Indiana University, that two separate acts authored by two different legislators named Jones about a century ago would join forces to stall hurricane recovery efforts in Puerto Rico. 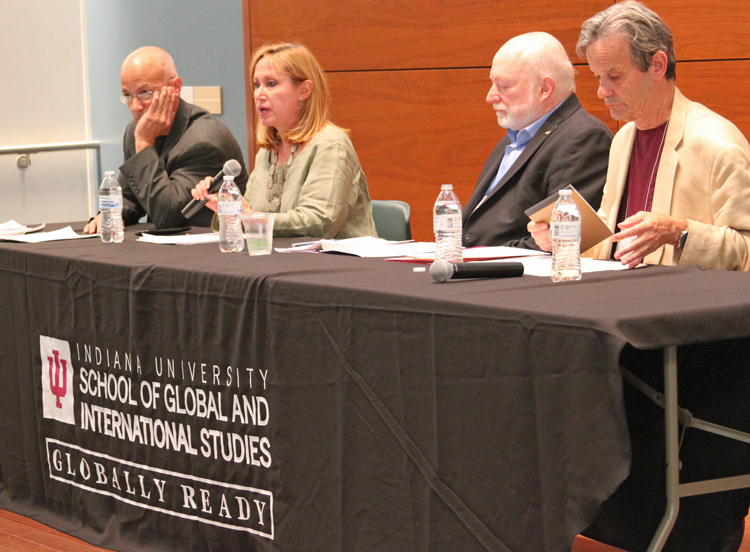 Gould’s remarks prefaced the roundtable discussion opening an international conference hosted by the Center for Latin American & Caribbean Studies at IU’s School of Global and International Affairs Friday, September 29. A Hundred Years of Migration (1917-2017): Stories of Caribbean Exile and Diaspora, convened 22 renowned scholars in the humanities and the social sciences from universities across the Americas to tackle the subject of migration as it informs life from Cuba to the Lesser Antilles. The timing of the conference in the aftermath of the punishing storms presented another grim coincidence. It was only a day before the conference got underway – but more than a week after Hurricane Maria careened through Puerto Rico – that President Donald Trump had temporarily lifted the Jones Merchant-Marine Act of 1920, which stipulates that goods being transported from one American port to another be carried on American-owned and -operated ships. Lifting the ban, many argued, would facilitate the delivery of aid and restoration of basic services to the island’s 3.4 million residents. (Although, it has been suggested, its proposed ten-day suspension extends minimal opportunity for relief.) The American citizenship of those residents is the legacy of the first Jones Act – more specifically the Jones-Shafroth Act of 1917. That act, in tandem with the Supreme Court’s previous determination that Puerto Rico was a US territory, lashed the island to the mainland (and federal shipping restrictions reinforced by the second Jones Act), while stranding it in murky legal waters. What seems likely though, suggested panelist Jorge Duany, is an uptick in the already significant numbers of Puerto Ricans migrating to the mainland. Director of the Cuban Research Institute and Professor of Anthropology in the Department of Global & Sociocultural Studies at Florida International University, Duany charted the rates and patterns of migration from Puerto Rico up to and since the enactment of Jones in 1917. A back-and-forth movement of Puerto Ricans around the Caribbean, to Europe, and Hawaii existed before the Jones Act, Duany noted. But the “commuter nation” or “nation on the move,” as he characterized Puerto Ricans, reoriented themselves toward the US mainland in the decades after Jones. By mid-century, in reaction to the demise of the agricultural economy effected by Operation Bootstrap, a full third of the Puerto Rican work force had emigrated to the mainland, he reported. It wasn’t until 2006 that migration numbers came to rival those of the late 1940s and 1950s — in 2016, Duany noted, 89,000 Puerto Ricans moved to the mainland US. It’s a wave that will probably surge, he predicts. 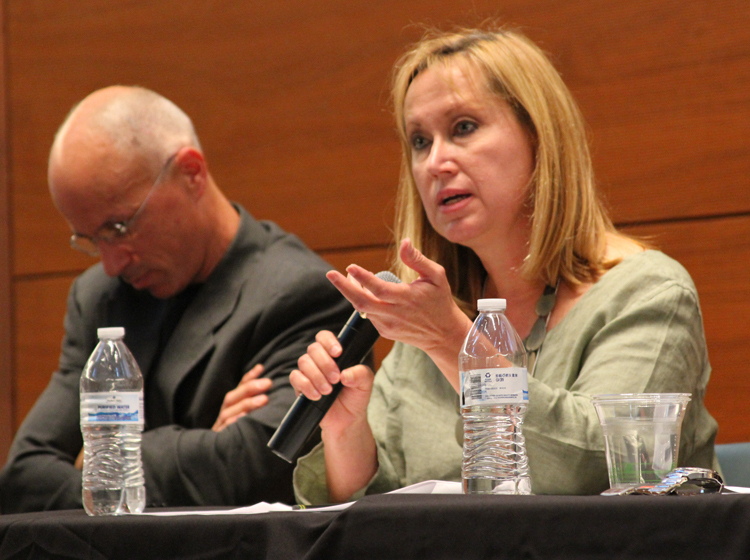 The conference, which continued through Saturday, September 30, spanned the topics of citizenship, migration, and transnational identities as they pertain to Puerto Rico, Cuba, Haiti, the Dominican Republic, and points across the Caribbean, and assembled scholars from diverse disciplines, including folklore, anthropology, political science, and gender studies.